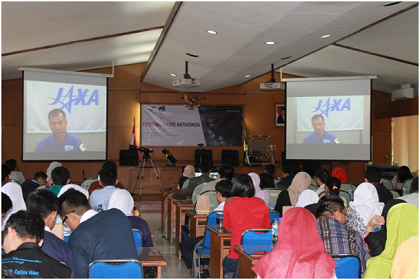 A communication event with JAXA astronaut Soichi Noguchi was held as a part of Space Science Festival in Indonesia, organized by the National Institute of Aeronautics and Space, Indonesia (LAPAN) on October 10, 2015. 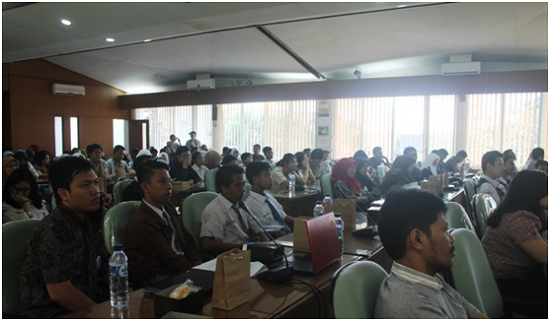 A total of 170 participants, including 115 students, connected with Astronaut Noguchi from the auditorium of LAPAN Space Science Center in Bandung. 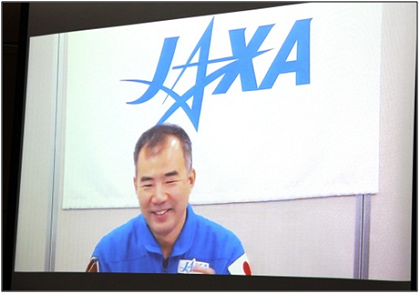 This event was held using the video conference system, and the audience was excited to see a JAXA astronaut on live video for the first time. Astronaut Noguchi started his talk with a greeting to participants in Indonesian, "Selamat pagi," meaning "Good morning." He described his experiences on his two missions aboard the International Space Station (ISS), showing some pictures taken while he was onboard. 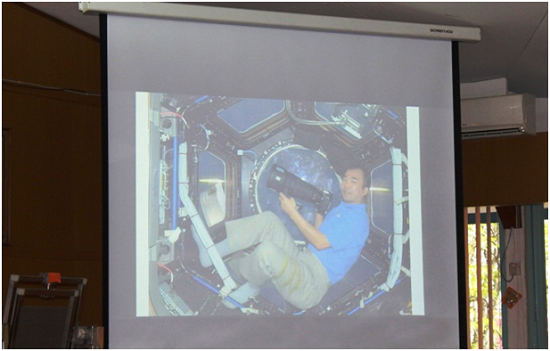 He also gave some information about the Kibo-ABC/Kibo Utilization collaboration between LAPAN and JAXA. Students had chance to ask him questions after his lecture. The questions were mainly asked in English, although some students tried to use Japanese to talk with him. He answered many questions, including "What is your favorite space food? ", "What did the earth look like from space? ", and "How did you feel when you got back to Earth?" Astronaut Noguchi stressed how beautiful the earth is when seen from space, and that photos alone cannot do its beauty justice -- you need to go to space to see it with your own eyes. He also mentioned that he "felt at home" when he came back to Earth, but on the very next day, he began to miss space and wanted to go back. The last question from the students was, "What are the requirements to become an astronaut?" Astronaut Noguchi answered, "A lot of aspects are required to become an astronaut, such as majoring in a scientific field in university, being physically fit, and also having the ability to speak multiple languages. But the most important thing is to have a strong motivation for exploring space." 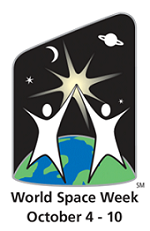 Space Science Festival is an annual event organized by LAPAN to celebrate World Space Week (worldspaceweek.org). 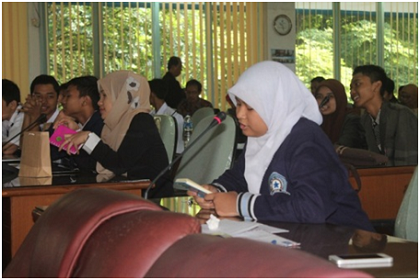 The event encourages students to learn more about space science and astronomy, and also promotes space experiments for better utilization of space technology.